What is a Schedule of Assets? In a previous article, we described how the estate representative should start the process of listing the decedent’s property on a Schedule of Assets and whether or not the different assets have to go through the California probate process. An Examples of a Schedule of Assets. Value of each asset: First of all, the value should be determined at the date of death along with the gross value without regard to any amount owed to third parties. For real property, start with a fair market value. Hence, this will be subjected to correction by a referee if the property has to be probated. Part owned by the decedent: Most noteworthy, If the decedent was married, his or her share of property held in community is usually 50 percent. Furthermore If a couple owned a fraction of third-party property, the decedent’s share will be half of that. The decedent may also own a share of a business venture, a boat, a ranch, hunting rights, insurance benefits that the representative will need to examine. Therefore, note that if the decedent owned joint tenancy property with someone who is not a spouse or domestic partner, the decedent’s share should be listed as 100 percent. This is because the IRS presumes this to be the decedent’s share for estate tax purposes. At a later stage, the decedent’s real value goes to the IRS for correction. 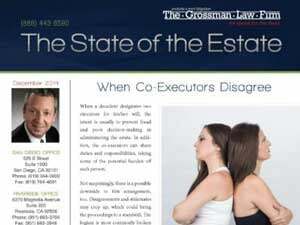 Talk to San Diego estate planning and probate attorney Scott Grossman about your situation. 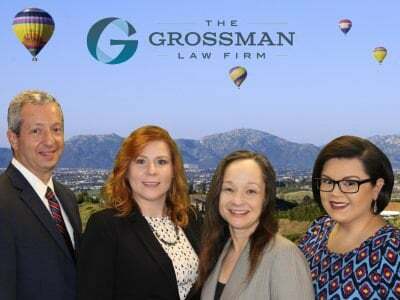 Call our lawyers at (951) 683-3704 or (866) 840-0000 for your FREE 30-minute telephone consultation. 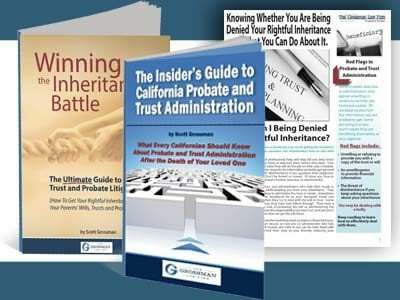 Also, order our FREE book The Insider’s Guide to California Probate and Trust Administration.